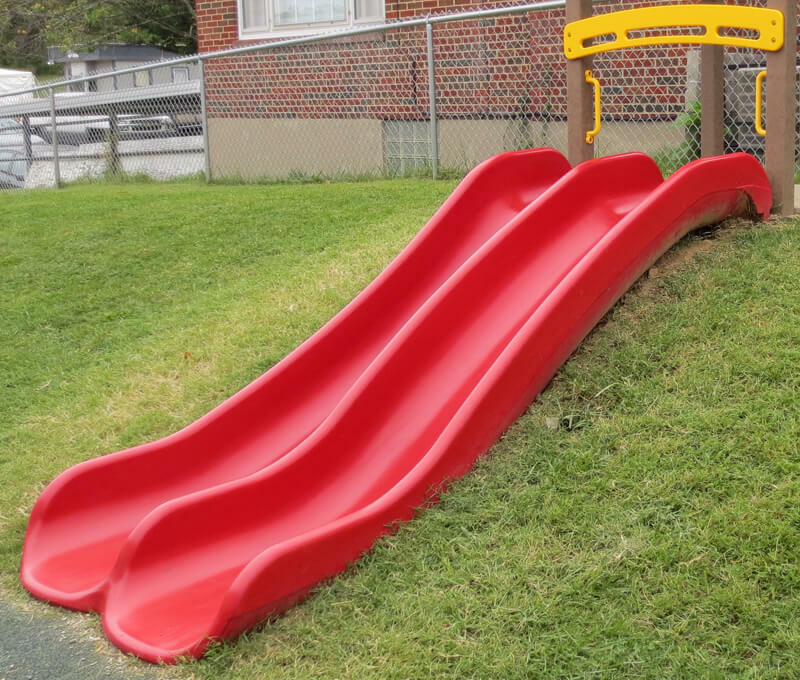 The Hill Slide Package includes Slide, Mounting Frame with Top Rail, Entrance Platform, Exit Pad, and instructions for creating the hill and installing the equipment. Consumer Product Safety Commission (CPSC) Guidelines recommend having a top rail to help channel the children into a seated position before going down the slide. 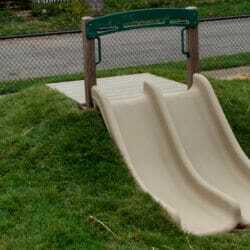 The Top Rail minimizes the use of embankment slides by children on skates, skateboards, or bicycles. The Entrance Platform provides a clean, smooth surface for the children who are waiting in line or getting in a seated position to zoom down the slide. Without a platform surface, this area can become muddy. The Exit Pad is a rubber pad that is located on the ground, at the foot of the slide. The pad helps to protect the ground from becoming muddy. 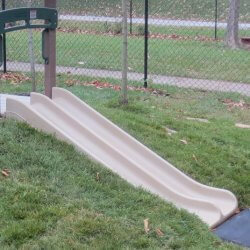 Instructions include how to install the Slide, Mounting Frame with Top Rail, Entrance Platform, and Exit Pad. The instructions explain how to build the hill and they specify the size of the hill, quantity of dirt and sod that are required. Ask us about our Roof and Rock Wall add-ons!